You might not have played the game, but if you've ever walked into a video game store in your life, you'll recognise the face: that of the Chessmaster, star of 1986 game The Chessmaster 2000. That first game, developed by The Software Toolworks, would lead to a series that would span decades, with the last game released in 2007. 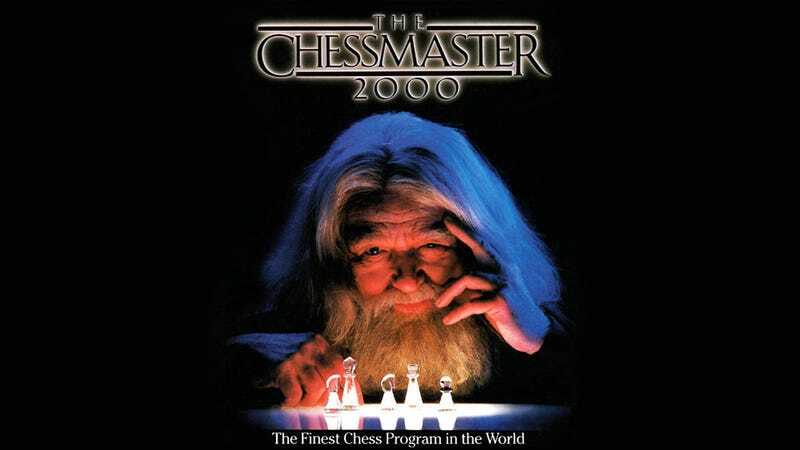 It's a fine series, if chess is your thing, but for many, myself included, the most memorable thing about it would be the old man on the cover of the original, who would continue to stare out at you - normally from the budget section - on the front of every Chessmaster game all the way through to the 2002 entry, Chessmaster 9000. Over that time his wizened old face has been seen by millions around the world. But just who was the Chessmaster? It was a man by the name of Will Hare. An American actor who, while not instantly recognisable by name, starred in a few decent flicks like 1985's The Aviator and 80's cult horror classic Silent Night, Deadly Night. He may be best known to you, though, as Old Man Peabody from the first Back to the Future. He was 70 when he appeared on the cover of The Chessmaster 2000, and that same image was used on Chessmaster games for the next 16 years. A professional actor to the very end, Hare passed away in 1997, not in a hospital but on stage, during a rehearsal at Manhattan's famous Actor's Studio.